Why Do So Many Airports Have Chapels? Image courtesy of Shutterstock, Inc., Used By Permission. 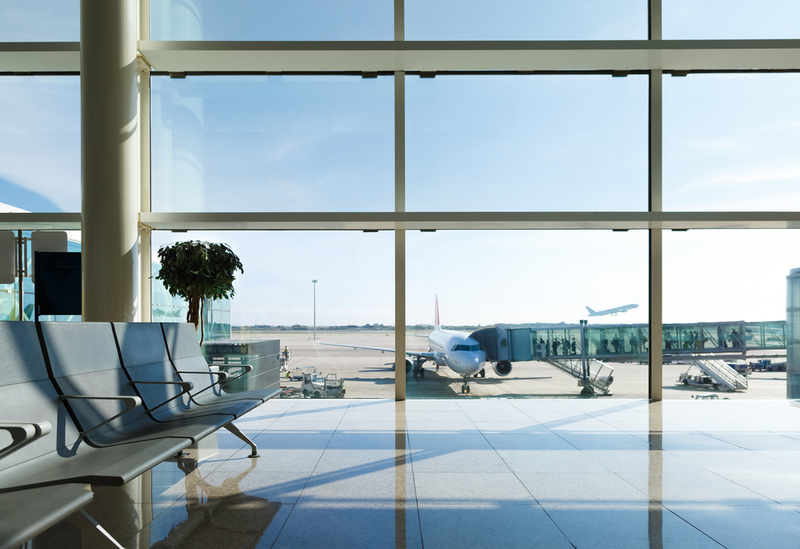 For many, airports are associated with stress and anxiety—getting to the airport on time, going through security, making your connecting flight or realizing that you’re not going to make your connecting flight. The airport is a sort of “necessary evil” that takes you to the place you need to be. You want to get in and out as quickly as possible. But in fact, as you’re running to your connecting flight—sweaty and panicking—there could be people worshiping in the very same building. Airport chapels—they bring to mind old movies where Pan Am stewardesses walked the airport hallways, men wore suits for flights and women wore heels. However, airport chapels are still alive and thriving today just as they were in the 1950s when they were first established. The US established its first airport chapel as a solution to staff needs, rather than the passengers. Catholic leaders wanted to make sure their parishioners could attend mass, even if they were in between flights or shifts. After Boston’s chapel, the concept was quick to be embraced by other Catholic leaders. In 1955, “Our Lady of the Skies Chapel” opened at New York City’s Idlewild Airport (John F. Kennedy International Airport) followed by other chapels across the country. However, in the 1960s, JFK felt it was time to make a place for other faiths in airports. He added both a Protestant chapel and a Jewish synagogue to the New York terminals—soon followed by Protestant chapels in the Atlanta and Dallas airports as well. As the years passed, single-faith focused airport chapels began to dissipate, making way for more inclusive interfaith chapels where people of different faiths could worship together. For example, in Charlotte, North Carolina, multiple religious texts appear alongside prayer rugs, rosary beads and artistically rendered quotes from the world’s major religions. Reading material is available on topics ranging from grief to forgiveness, which visitors are free to take with them. The switch from single-faith to multiple-faith chapels also included a change in the congregation. Instead of only opening doors to airport staff, millions of passengers traveling in and out of cities are now welcome in airport chapels alongside employees. “I think the most difficult thing… all chaplains tell stories about this—they’ve had examples or instances where they have been called to basically deliver very bad news. [In] one case, it was parents traveling on a vacation and something had happened to their daughter at home and… as they’re making a connection at Chicago O’Hare, the chaplain at O’Hare has to be with them and tell them that something terrible has happened with their daughter. Isn’t it incredible that today, in the airport—one of the most structured, cold, black and white government organizations—faith still thrives? Still, a chaplain is still summoned to help deliver bad news and provide comfort that only faith can provide. And still, when we could listen to a podcast, talk to a friend or watch a movie in the hours of waiting or moments of anxiety, we would rather set foot in a chapel. Even one in a reconstructed terminal at the airport. What Happened After Jesus Died but Before He Rose Again? © 2017 LightWorkers Media OTT, LLC. All rights reserved. This feature is only available to U.S. residents at this time.